Our thanks go out to our Arts Partners who support the festival. 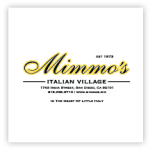 We encourage you to visit, shop, and dine with them in Little Italy. The perfect balance of taste and aroma. 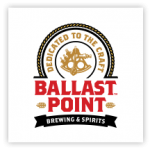 What started as a small group of home brewers, who simply wanted to make a better beer, evolved into the adventurers known today as Ballast Point. 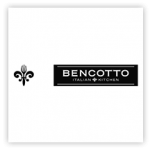 Bencotto draws inspiration from Italian kitchens, more than restaurants, where Italians grow up, linger, cook, and eat simple yet exceptional food. 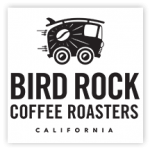 San Diego’s only nationally recognized leader in direct trade, micro-lot and auction coffee. 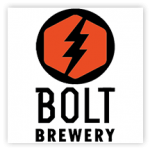 Local craft brewery serving up delicious beer, cheeseburgers and much more! 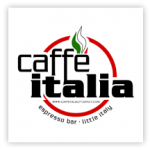 Caffe Italia is a one of a kind Espresso bar serving the perfect blends of robust coffee, cappuccino and espresso made with Lavazza coffee beans imported from Italy. Offering fresh flavors with a modern spin on traditional Italian Favorites, Civico 1845 sits in the heart of San Diego’s Little Italy community. 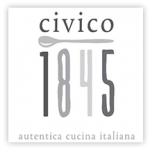 With authentic and contemporary design, Civico 1845 introduces guests to the next generation of Italian cuisine. We also offer a number of 100% vegan dishes, as well as several gluten-free options. Davanti Enoteca is a wine bar that offers share-able plates of rustic Italian cuisine. 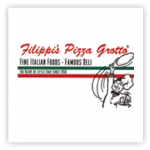 The best and biggest pizza you will find in Southern California! Family-owned and operated. Dishing out some of the finest and freshest Italian food. 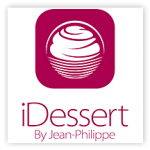 iDessert is a unique place where you customize your own dessert, Crêpe, Sundae, and Milkshake by selecting your favorite ingredients off our iPad station and your dessert masterpiece will be ready in minutes. Enjoy! Seafood fare and cocktails offered in a renovated warehouse with quirky, nautical design accents. Protest Against the Rising Tide of Conformity. 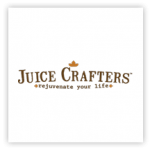 Juice Crafters is a family owned juice bar which uses raw gourmet, 100% natural ingredients to prepare some of the most amazing pressed juices in the world. Our approach at Juice Crafters is simple: Live well and be well. 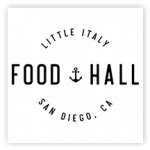 The Little Italy Food Hall features six food stations and a full var providing you with a glimpse into San Diego’s divers dining scene! Enjoy a cocktail on the adjacent 10,000 sqaure foot Piazza della Famiglia! 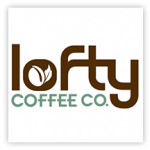 Lofty Coffee is a community driven, organic, local cafe coffee roaster and scratch bakery. Casual dining in a unique Italian village atmosphere. 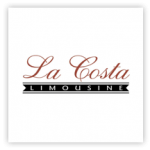 Serving San Diego since 1973. 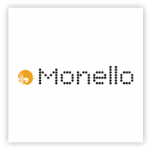 Monello’s “100 percent honest Italian” menu celebrates Northern Italian Street Food and Milan’s glamorous aperitivo culture. 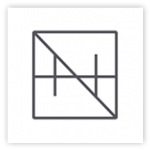 Nolita Hall is the fun, new hip beer hall located in North Little Italy. They serve over 40 beers, craft cocktails, and a really intriguing natural wine selection. Paired with all of these amazing libations are wood-fired pizzas, salads, and delicious share plates. Come watch all the big games and see what it looks like under a 747 through their 60-foot skylight. 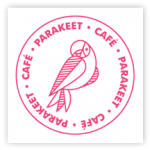 Parakeet Cafe is serving up health-conscious food, coffee, tea, and freshly baked goods in San Diego’s La Jolla and Little Italy. Open daily. Cooking classic American traditions with relevant, modern preparations. 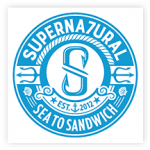 Supernatural Sandwiches is serving gourmet seafood sandwiches. Perfect for anyone who craves delicious seafood for any occasion! 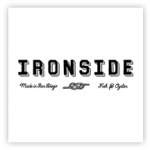 The world’s premier roaster and retailer of specialty coffee. 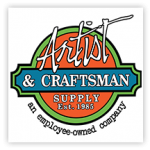 Artist & Craftsman Supply is an employee-owned company that originated in Portland, ME in 1985. 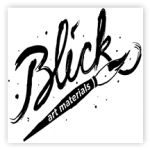 Their 33 locations nation-wide are staffed by local artists from all mediums. The staff takes pride in having the best selection, competitive pricing, and friendly employees who are always happy to answer questions and give technical advice. The San Diego store has been located at 3804 4th Ave. in Hillcrest since moving there in 2010 but has been a part of San Diego’s community since 2000. 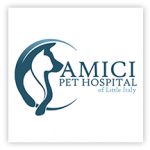 Your veterinarians in Downtown San Diego – Little Italy. 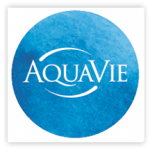 AquaVie offers members an urban oasis of serenity. Signature details include a silver and glass stairway, custom contemporary furnishings, luxe hues of arctic blue and a stunning three-story water wall. Each of the four levels of AquaVie is thoughtfully designed to represent a unique environment and to elevate the wellness of your mind, body and spirit. 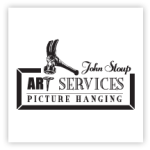 With twenty years of experience, John Stoup can handle all your art installation needs. Whether it’s an individual piece, a small grouping, large security installation or a monumental piece of sculpture, each job is given special attention. 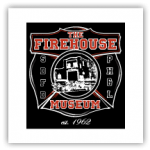 The San Diego Firehouse Museum houses over 200 years of firefighting history from throughout the world. The facility contains a special children’s fire safety room and gift shop. Visit the museum during its hours of operation Thurs/Fri 10a-2p and Sat/Sun 10a-4p. 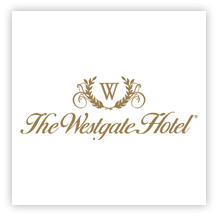 Acclaimed as San Diego’s finest hotel, the Westgate is beautifully appointed with exquisite European luxuries throughout.The Westgate is located in the heart of downtown San Diego just steps away from the trendy Gaslamp Quarter, fashionable shopping and historic Balboa Park. 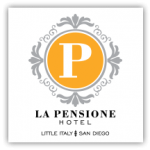 La Pensione Hotel immerses guests in the European exuberance and charm of San Diego’s Little Italy. Stay in Style: Enjoy local art, panoramic views and fresh cuisine, steps away from all the fun. Special rates for Art Walk attendees.